Moving house is one of the most stressful experiences you will ever have, so finding professionals that work well for you is essential. In this blog, we’ll tell you how to ask the right questions to weed out the cowboys, and how to find the professional Moving Companies Swindon that will mean that at least the physical move goes without a hitch. 1. We need to be out by 12 – can you guarantee that? Chains can mean a tight schedule, as it’s not just moving day for you but for several other people too. 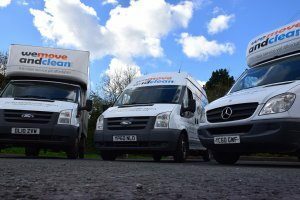 When searching on Moving Companies Swindon, make sure that the company has a suitable fleet with enough branded vehicles to do the job properly. 2. How we will make sure my property isn’t damaged? 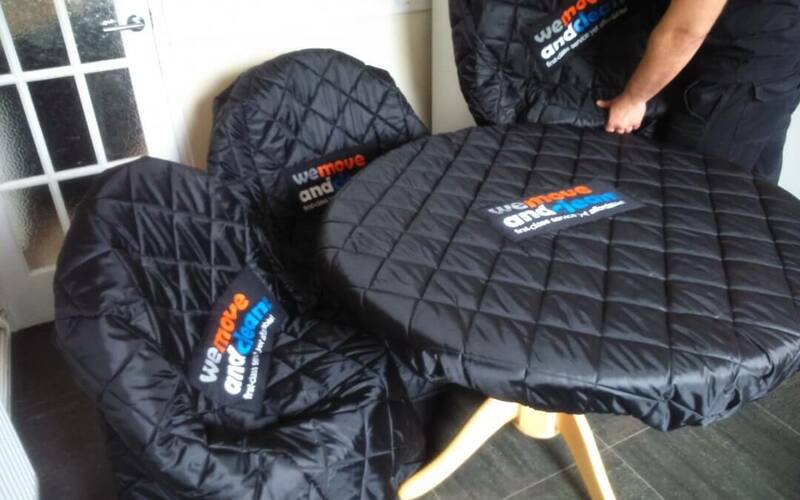 If a company is only interested in telling you about how they’ll wrap your breakables in bubble wrap, probe further! 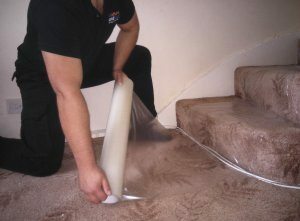 Specialist covers, or at the least thick blankets are necessary to protect white goods and large furniture. If the mover respects your property, they’ll respect you and do the job you expect. 3. Can I see feedback from previous customers? Look through several sites for feedback; Checkatrade, Google, Yell, and a company Facebook page – if one exists – are all good places to start. It’s also worth looking through more than one to see any negative reviews. 4. Are your staff well-trained? Will I recognise them? A uniform isn’t just reassuring to you as a customer, it is a sign of a company that isn’t afraid to advertise itself at all times – that’s also a good indicator of their professional competence too. 5. What about insurance? Is that included? There’s a difference between Public Liability and Goods in Transit insurance. If one of the Moving Companies Swindon only has the former, that should ring warning bells as only the property itself will be covered if there is an accident. However, Goods in Transit insurance means that your belongings are safe as well. Check whether it is included in the quote or not, as some companies charge for this as an extra. On the subject of extras, look for those that save time as well as money – more on this later. 6. What other assurances can you give me? Does your company have any accreditations? Warning bells should ring if the company doesn’t, or can’t direct you to trade memberships. At the very least, look for membership of the Buy With Confidence Scheme, Checkatrade, and accreditation with the relevant industry Ombudsman. 7. What about my carpets? It’s not unusual for carpets to be left behind as part of the chain. You, and the vendor of your new home might have spent hundreds of pounds on deep cleaning included in the deal. Ask questions about carpet protector, or overshoes – bonus points for both – and don’t accept reassurances that movers will wipe their feet. Rainy days are muddy days. Again, if your mover respects your property, they respect you. 8. What else? What about a survey first? A reputable company will be keen to see the scope of the move before they give you a firm quote; your estimate and their professional eye are very unlikely to be entirely on the same page! 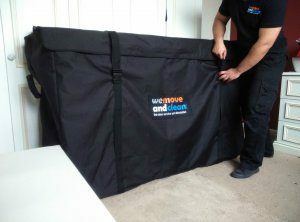 Although professional Moving Companies Swindon will have a good idea of your needs just from asking how many rooms your house has, they won’t take it for granted either, especially as they’ll want to see for themselves things that it might not occur to you to mention, such as the family piano, which will need special handling. If a company doesn’t offer a survey, you run the risk of someone turning up on the day in a small transit van – fine if you’re moving student digs, not so funny if you’re on a tight schedule and moving a three-bedroomed house! 9. Those extras you said we’d talk about later? A truly professional company is going to be all about giving you, the customer, value for money. If someone is offering you ‘value for money’ but isn’t talking about free extras, they’re just using empty words. Good benefits to look for are items like wardrobe boxes; not only do they save you huge amounts of time when packing, not to mention money on materials, they save you the inevitable trouble of having to press or clean crumpled clothes. Is this company listening to me, and what I need? Do I feel that they’re approachable and that I can address concerns with them? What is my gut feeling? In short, if everything appears to check out, but you’re still hearing warning bells, keep looking. In conclusion, you’re looking for a company that is the right combination of friendly and professional, who reassure you that your possessions will get to your new home in the condition their left your old home. It might seem like a long list to check through, but a truly professional company will reassure you at every turn. Have your checklist ready and take at least some of the stress out of your move. If you like give We Move and Clean a call today and we can help you out!